Walt Disney Animation Studios' 'Frozen' features eight original songs from Kristen Anderson-Lopez ('In Transit,' 'Winnie the Pooh') and Tony Award-winning songwriter Robert Lopez ('Avenue Q,' 'The Book of Mormon'), plus a phenomenal score by the composer of last year's Oscar-winning short 'Paperman,' Christophe Beck. 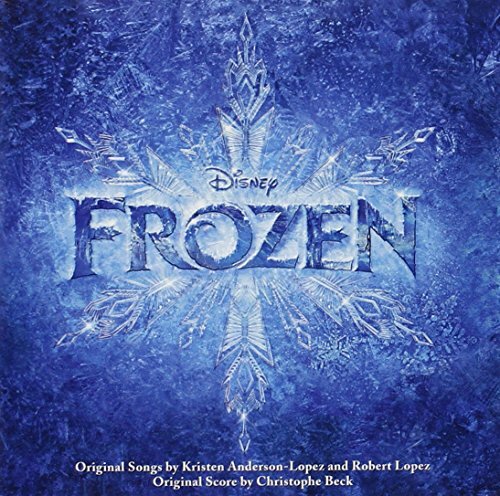 The original motion picture soundtrack, which features the end-credit recording of 'Let It Go' by Demi Lovato as well as performances by Kristen Bell, Idina Menzel, Josh Gad, Jonathan Groff and more, is available for sale on Nov. 25, 2013. Directed by Chris Buck ('Tarzan,' 'Surf's Up') and Jennifer Lee (screenwriter, 'Wreck-It Ralph'), who also wrote the screenplay, and produced by Peter Del Vecho ('Winnie the Pooh,' 'The Princess and the Frog') 'Frozen' hits theaters in 3D on Nov. 27, 2013. 2014 Academy Award(R) winner for Best Original Song 'Let it Go' and Best Animated Feature Film.